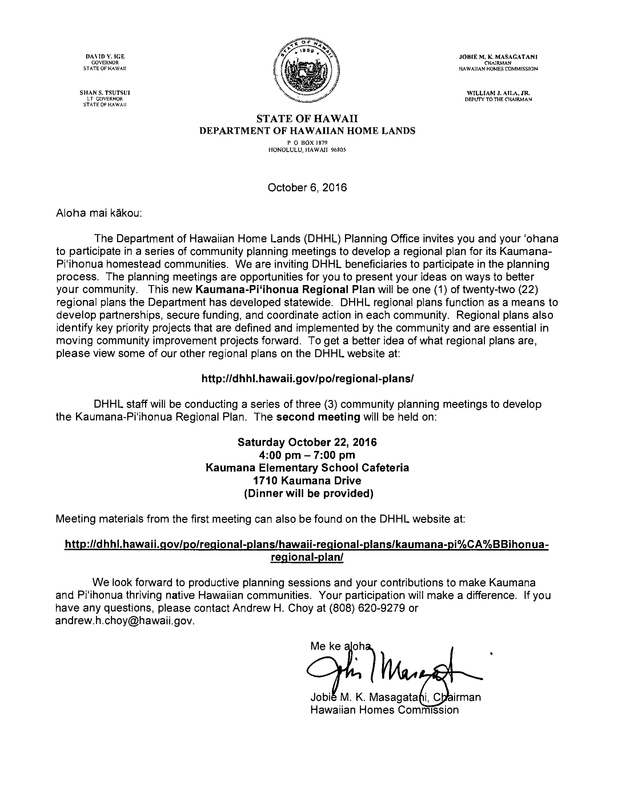 Beneficiary manaʻo is being sought for the Kaumana-Piʻihonua Regional Plan. The Department of Hawaiian Home Lands’ Planning Office is currently collecting feedback. Details on the community planning meeting, including the presentation and meeting notes are available below. 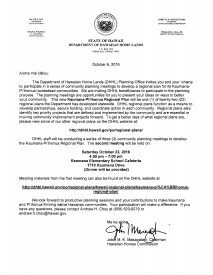 The Department looks forward to productive planning sessions and the community contributions to make these regions thriving native Hawaiian communities. Click here to download a PDF of this invite.